I promise to try to start scheduling posts again so they're there first thing in the morning. It's just been difficult to be social with my auntie in town (well, as social as I get), and take care of the little pleasures like blogging. We have done a whole lot of papercrafts with my Cricut and I think she's as enamored of it as I am! As I noted last week, she designed a number of the 4th of July cards that we gave to my inlaws. 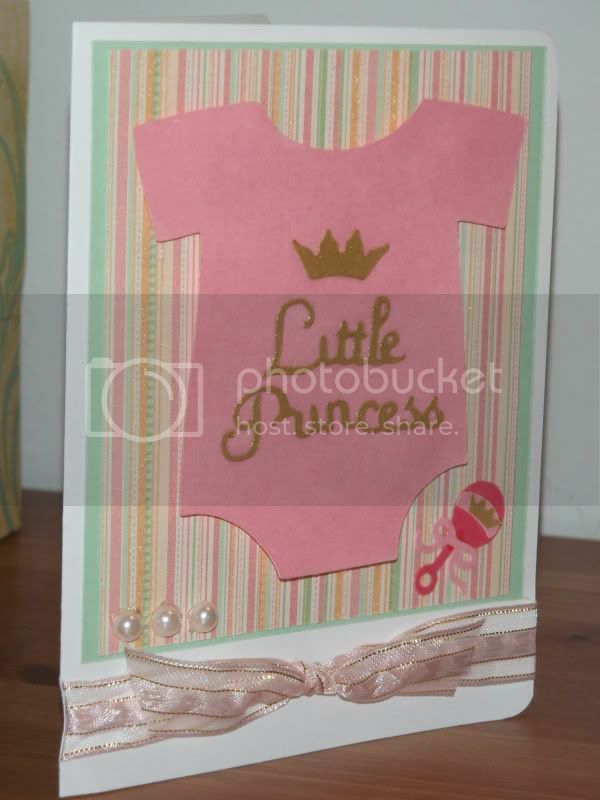 Anyway, here's a baby card I made for the new grand-baby of one of her friends. She was supposed to design it, but didn't get much farther than remarking how cute "Little Princess" was before the 4th of July fireworks over Lake Michigan began outside my window. I didn't get back to the baby card until after she'd gone to bed. Anyway, the majority of the card could have been made using the Cricut Lite Sugar and Spice cartridge, however I didn't notice the crown until after I had cut one from Paper Doll Dress Up. The onesie is from B is for Boy, however it's fairly simple to draw a onesie. Hope she likes it! 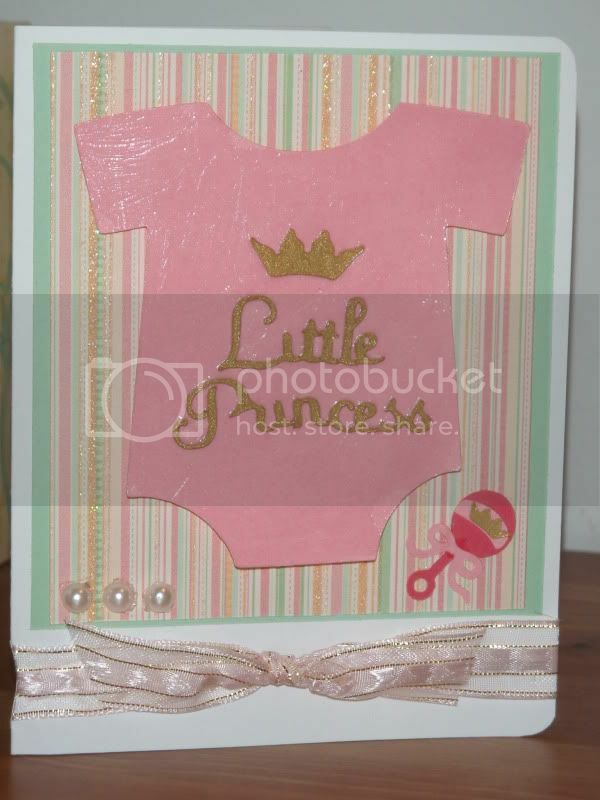 - Mint green card stock cut at 4 x 4 3/8"
- DCWV paper, I think it's the baby girl stack, cut at 3.75 x 4.25"